Chris grew up on the Oregon Coast among the dense forests and incessant rain. His longing to see beyond the howling wind and torrential downpours influenced him to travel far and beyond to culture rich Europe, rugged New Zealand to sunny Australia and even the dry, frozen continent of Antarctica. 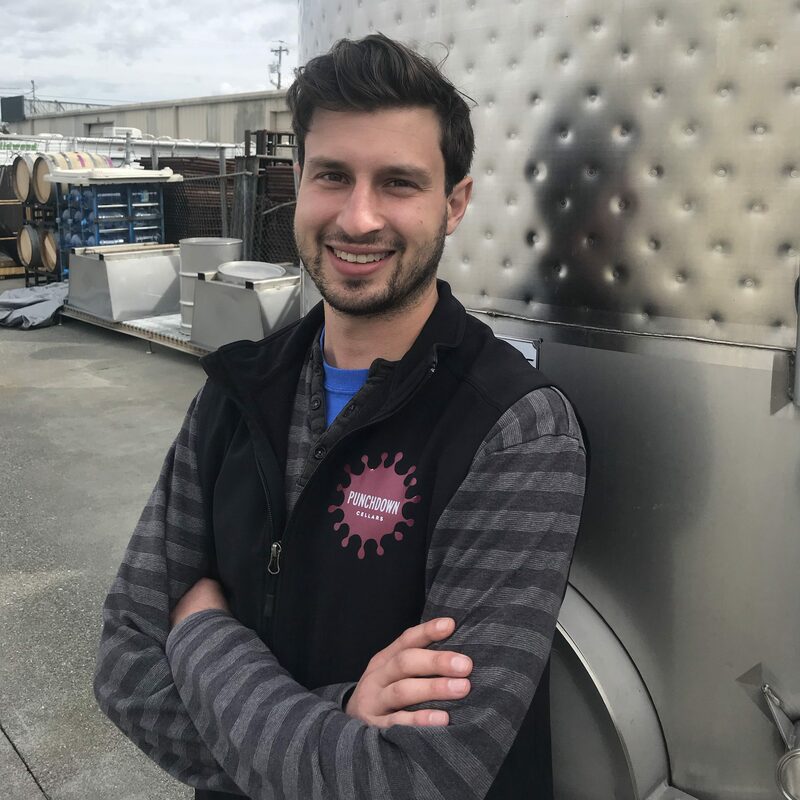 These explorations lead him to discover and enjoy the many fermented beverages of the world and on his return home promptly joined the Fermentation Science program at Oregon State University, where he had obtained his Bachelors of Science in Biology. After a year in the program he was itching to get his hands dirty and took an internship at Lemelson Vineyards and never looked back. A few cold, damp vintages later, he headed south to sunny, Santa Rosa where he joined the 2012 harvest team at Punchdown Cellars. Chris was brought on as a Production Assistant in the summer of 2013 to aid in overall planning and logistics at Punchdown Cellars and was later promoted to General Manager. Tony grew up in the small town of Fairfax, located in Marin County. Always fascinated with the vineyards and the wine his parents drank, he went on to study Wine and Viticulture at California Polytechnic State University, San Luis Obispo. During his studies he worked at the student vineyard on Cal Poly’s campus and part-time for Tablas Creek Vineyards. This was where his enthusiasm for wine and viticulture really took off. Soon after graduating he travelled to New Zealand where he worked in the vineyards at the well-known Bell Hill Vineyard in North Canterbury, then travelled up to Marlborough to work vintage at Indevin. After New Zealand, he set his sights back to California where he worked at Bedrock Wine Co. and got the chance to work with some of the oldest vineyards in California. While he was there he was introduced to Austin Black, the Winemaker at Mac Forbes in Australia. He was given the opportunity work for Mac Forbes in the Yarra Valley and took it. He spent his time working in the vineyards and in cellar and loved every minute of it. While working full-time for Mac Forbes, he was able to travel to Austria and work a vintage at Moric in Burgenland. It was there he fell even more in love with old vines and sparked his interest in working with Austrian varietals. 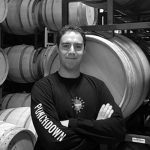 Deciding to end his working abroad, Tony relocated back to California and accepted the position at Punchdown Cellars where he enjoys working closely with his clients and seeing fruit from all over the state. When he is not running the cellar Tony enjoys being outside with friends and family. Snowboarding, hiking, and golf are a few of his favorites. 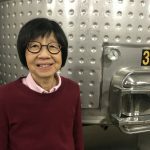 Denise Wong graduated from University of Southern California and attended oversees studies in France and Switzerland before embarking in a career in the financial sector of the film industry for 15 years. With a strong passion for food and wine, she owned and operated a restaurant in Los Angeles, served as an Executive Chef at a fine dining restaurant and was the Director of Administration for a McDonald’s franchisee. After 11 years working in Hawaii as a Controller which ended in a merger and acquisition of a top international theatrical exhibition chain, she relocated to Sonoma pursuing her love of food and wine. She joined Punchdown Cellars as the Controller is 2005.